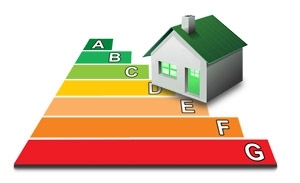 Northern Ireland Energy Rating - NIER - is an experienced Building Consultancy firm. Our team of chartered builders, project managers and energy assessors offer services in Building Surveying, Project Management, Energy Efficiency, SAP/SBEM Calculations, Fire Risk Assessments and advice on the Code for Sustainable Homes. We have over 20 years experience in the industry. Based in County Antrim we offer a service at an affordable price, for all types of properties, in the timeframe you require. We take care of all details, minimising time, effort and cost to you. building regulation requirements. Every property requires quality from foundations to final finish. This is where NIER excels. As your energy partner we assist in the preparation of planning application sustainability checklists, SAP and SBEM calculations, Code for Sustainable Homes, and EPCs. Over 20 years of experience gained within residential and commercial construction means that we are able to offer practical and economical solutions, with speed and without overcomplicating any issue. Northern Ireland Energy Rating offers a reliable and flexible service with particular attention to detail. Our assessments can be ordered by phone, email or post. Our service guarantees quality and professionalism with a personal touch.